To shop online please follow the below link. Payment can be made via Paypal, Credit Card or ZipPay! 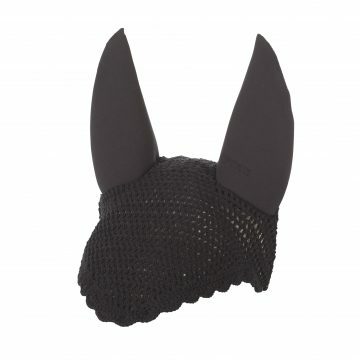 Crocheted fly protection for the head with elasticated ears and optional cord arrangement. 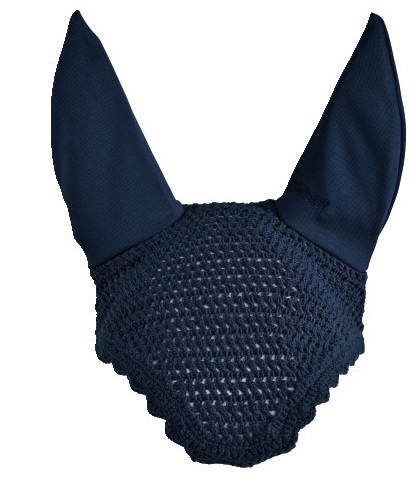 As a result if the wide selection of colours, the ESKADRON anti-fly hood can be very well combined with all browbands and saddle cloths. 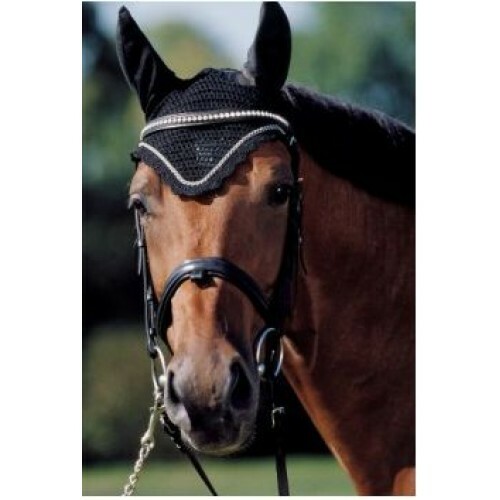 The fly protectors for the horses head in the competition collection can be individually embellished by cords. Available in White (03), Navy (04), Black (07), Tanne (08), Grey (10), Dark Navy (14), Cream (22), Mocca (65), Burgundy (66), Chocolate (70), Anthracite (77). 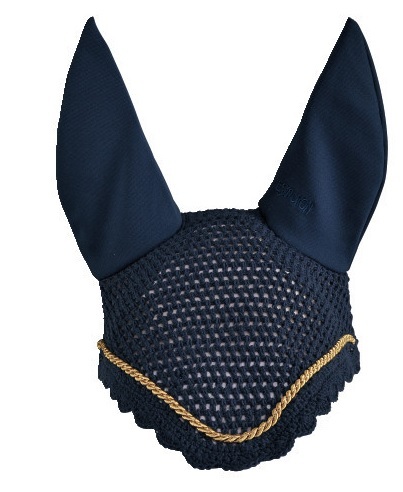 New Eskadron muted ear bonnets. 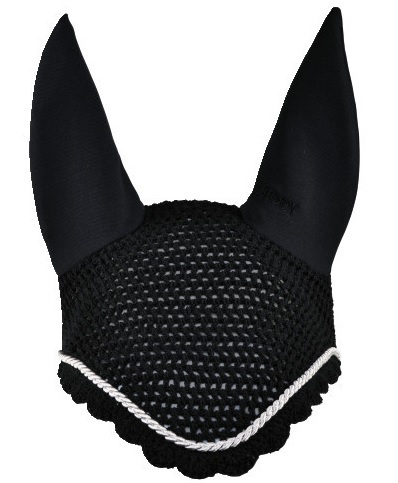 The fly veils feature soft, neoprene lined ears to block out distracting noise, making it a great alternative to ear plugs, and they have same classic look of the crochet style horse bonnet. Available in Black, White, Dark Navy, Chocolate and Anthracite either plain or with gold or silver cord.